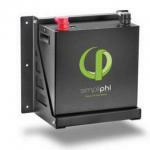 Primus Windpower now offers a Control Panel for the Primus Air Breeze and Air 40 wind turbines. 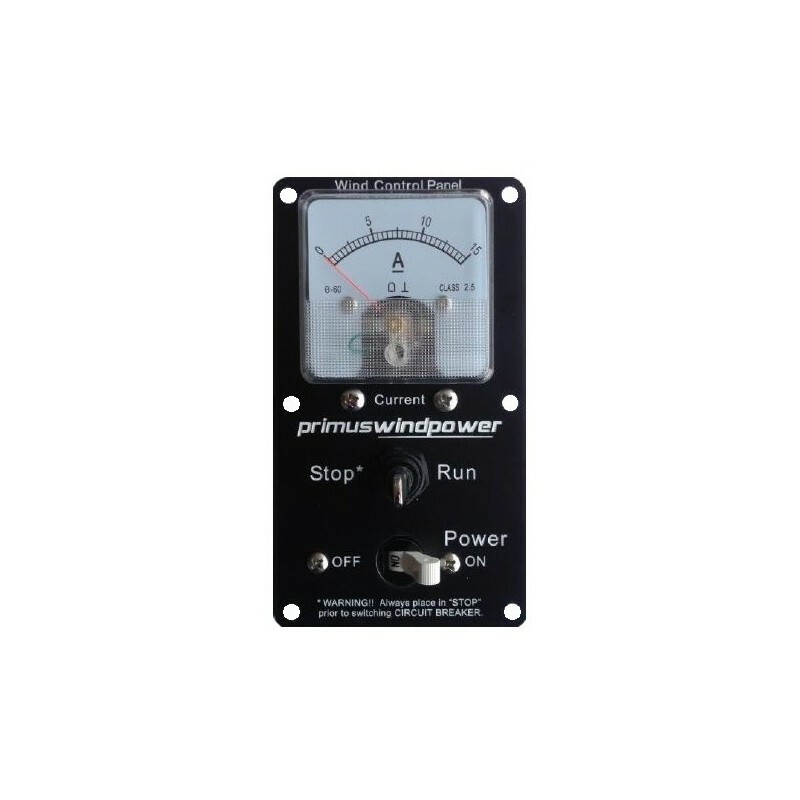 The Primus Wind Control Panel is a 25A, 12V analog ammeter equipped with a On/Off circuit breaker and a Stop/Run switch. The ammeter indicates the turbine's current production, this analog meter eliminates parasitic current draw commonly found in digital displays. 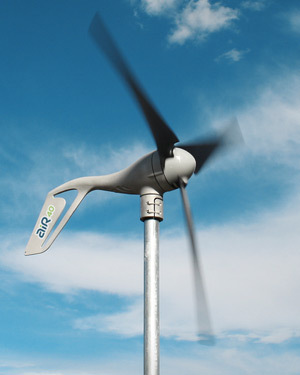 The Stop/Run switch provides direct control over the turbine, limiting the spinning of the blades while the On/Off switch will stop all current flow into the batteries. When the turbine is in STOP mode and electric break is created and the blades stop all rotation, only in strong winds the blades may experience some movement. The Wind Control Panel is easily installed with only four wires; two for the wind turbine (positive and negative) and two (positive and negative) for your batteries. 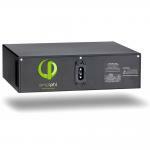 The Primus Wind Control Panel is fully calibrated and ready to be installed on any wall, cabinet or enclosure.